Please join me in welcoming Angela to the blog today! She’s stopping by to share her Oliver + S makes that she’s made over the years. Thanks for visiting us Angela! Hi, there! My name is Ángela Hurtado, and I live in Costa Rica (even though I was born in Peru). 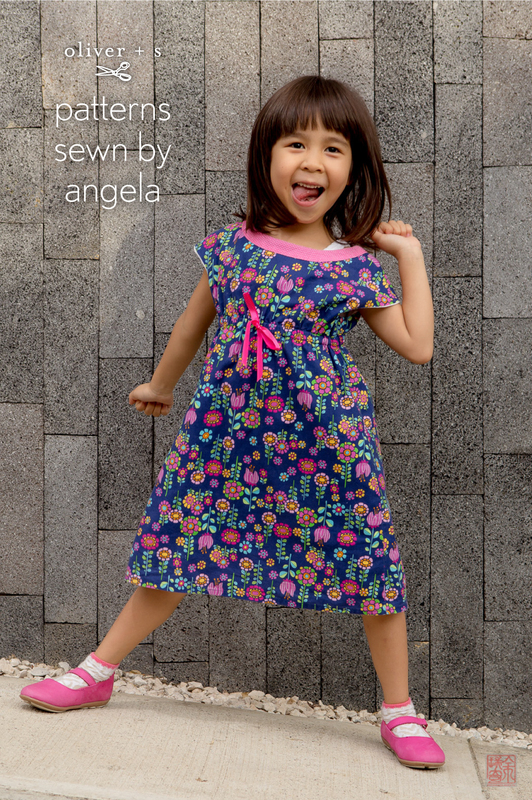 I’ve been sewing with Liesl’s patterns for a few years now, and I’ve enjoyed it immensely. It all started as a way both to unwind from work and school stresses and to actually put to good use my sewing skills which had been languishing for years. The happy recipient of all my sewing efforts has been my daughter, Jazmín. 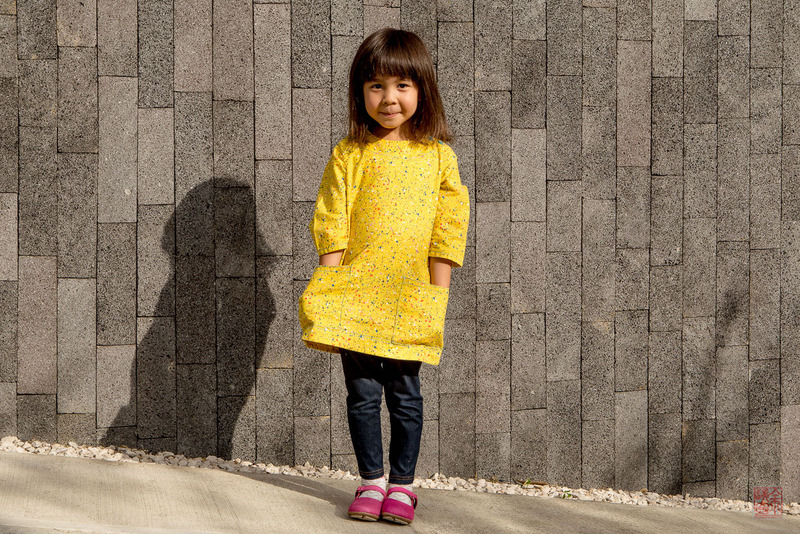 Eventually, my sewing turned into a whole family project: my husband Ricky takes the pictures and Jazmín models (with an occasional assist from our cats). I first learned to thread a sewing machine when I was around 6 or 7. My mom, who is half German, taught me and my brother to keep entertained using crafts, and I took to embroidering, and generally playing with fabric. While in college (I studied Graphic Design, but wanted to be a fashion designer instead), I took sewing and drafting lessons, which were useful for my thesis project, on dress as an art form. Afterwards, I became a Fashion History lecturer at my university, which kept my interest in sewing alive and well. 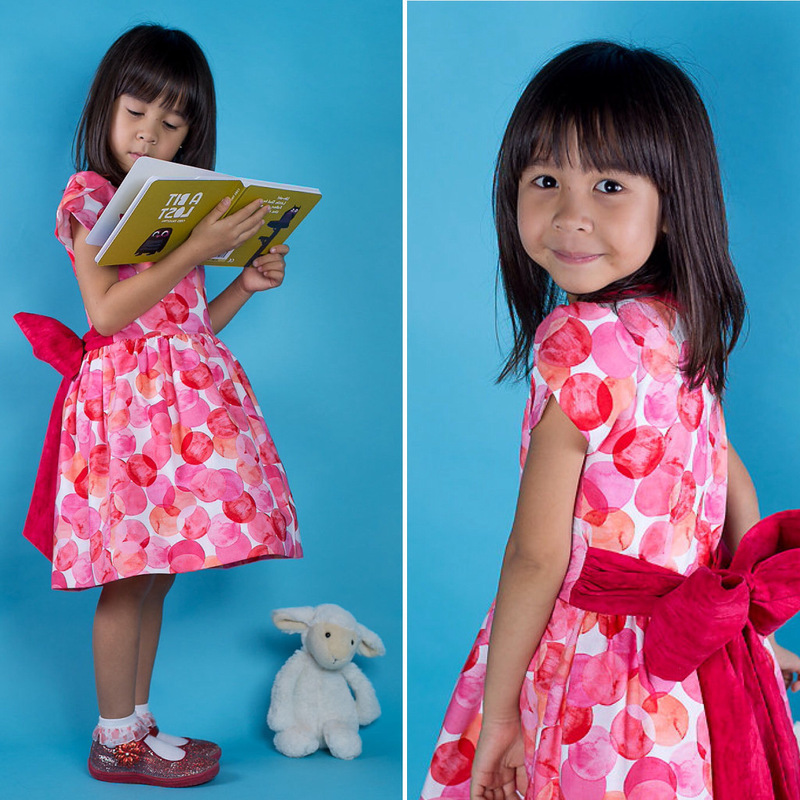 I enjoy sewing for my daughter so much, in part because I found that Oliver + S patterns are very easy to follow and will consistently produce a professional-looking result. 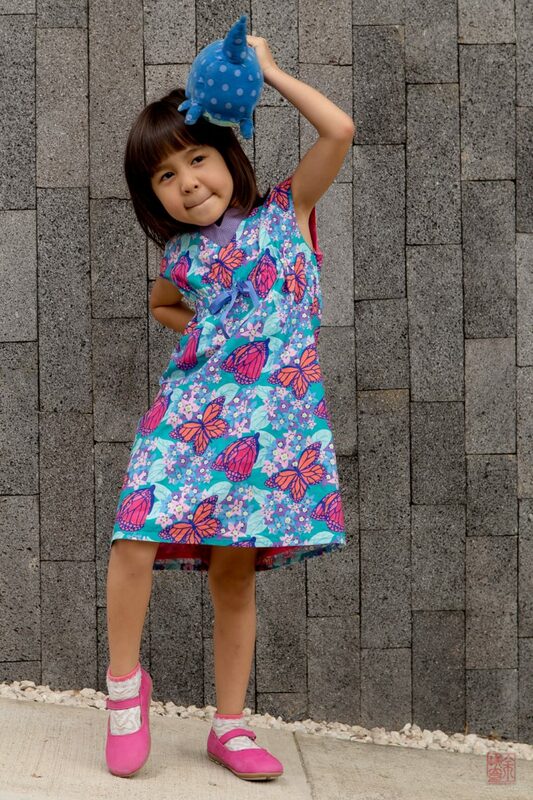 Among my favorite patterns is the Roller Skate dress. I made two variations since it was so well received around here: one in a flower print and another in a treasured butterfly print. My daughter still enjoys wearing a modification of the Sailboat Top, which we call her “painter’s tunic”. I love the little splatters of paint on a mustard yellow background and the two big pockets are perfect for her paintbrushes. 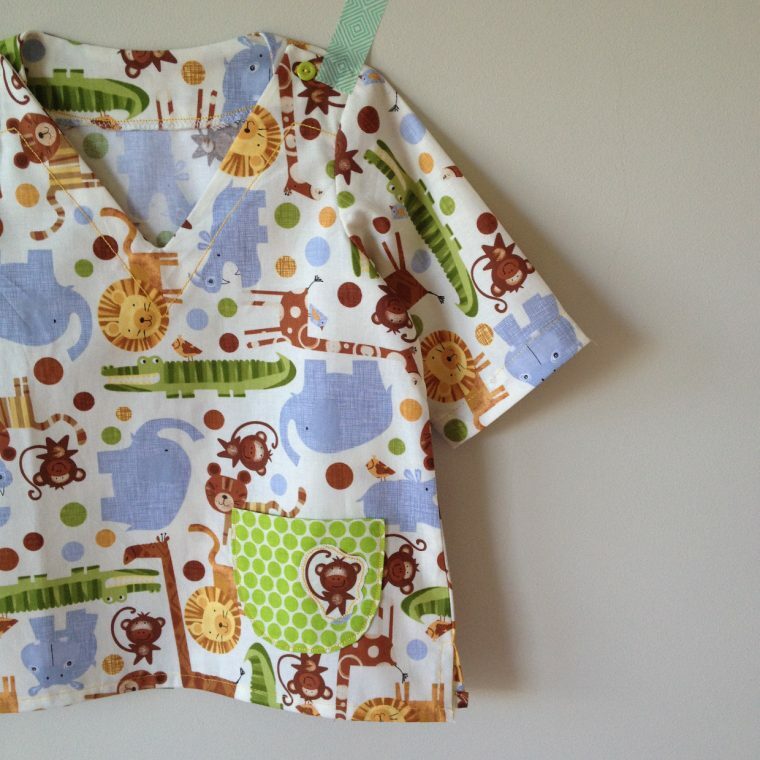 The Sailboat Top was also modified into a veterinarian’s scrubs. She had a “what do you want to be when you grow up” day at school, and I whipped this little costume quite quickly. I loved the details on the Sunday Brunch jacket, especially the stand-up collar. I made this version with a pink dotty chintz. I also tried my hand at some pajamas. I made the Sleepover pajamas in an elephant print flannel, with a dotty trim. This one has been worn a lot around these parts, so much so that I’ve had to let down the cuffs. I fell in love with the Fairy Tale Dress as soon as I saw it on Liesl’s website. I was very intimidated by it (the invisible zipper! the little collar! those tulip sleeves! ), and then I realized that all the details that were so terrifying to me were actually the things that I loved the most in this design. So, when it came time to make my daughter a graduation dress I decided that it could only be the Fairy Tale. I spent a long morning searching for the fabric with my mom and she helped me choose this bubbly print with red trim. It was an instant success, and also a great self-esteem booster! I felt very accomplished, but it was all because of the clear instructions and beautiful finishes that Liesl included in this design. And finally, the latest project was a full princess dress. I bought Liesl’s Building Block Dress book just to check out the transformations she made to a basic pattern. Jazmín had been asking for a princess costume for a while, and last July I decided to get on board. We went shopping together and got a purple iridescent wrinkly taffeta and some pink organza. I modified the basic pattern with an invisible zipper, full lining, puffed sleeves, sweetheart neckline and a grand gathered skirt with an organza overlay. It was ridiculously fun to make. I think the nicest detail is the corset effect on the sides. I wanted this dress to have some room to grow, so I inserted a loopy trim in the princess seams on the front and back. I threaded some silky cording and got an instant corset effect that lets me adjust the waist without distorting the neckline. Jazmín was so happy! She spent a whole day twirling about and went everywhere dressed as her own princess. Thank you! This princess dress is nothing short of EXTRAORDINARY! The corset design is genius! All of these are wonderful, but that princess dress is so stunning! If I werenher I would beg to wear it every day. Amazing job! You are quite creative and for sure I am going to steal your design element, the corset side. I like all and think your choice of fabric with the design of the garment is just perfect. Too, your daughter is cute and does a great job modeling! Share eith us again! Profesora como siempre hermosas cada una de sus creaciones. 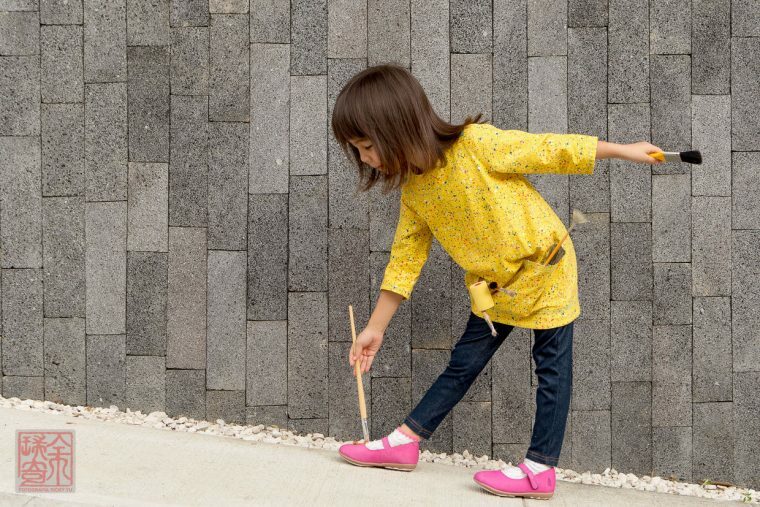 Y lo más lindo es que yo también sé lo que significa para uno que su mamá le haga diseños únicos y exclusivos. Hermosa la modelo y la felicito por tanto esmero. 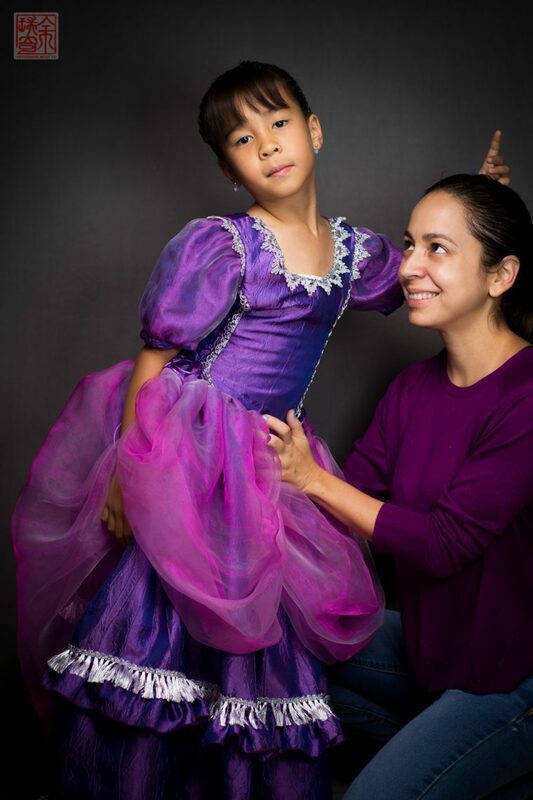 Angela and her daughter are simply charming in word and photo! Great family projects and products! Admiración total, por sus diseños, creatividad y manera tan especial para enseñar. Un abrazo. La modelo, bellïsima, como siempre. 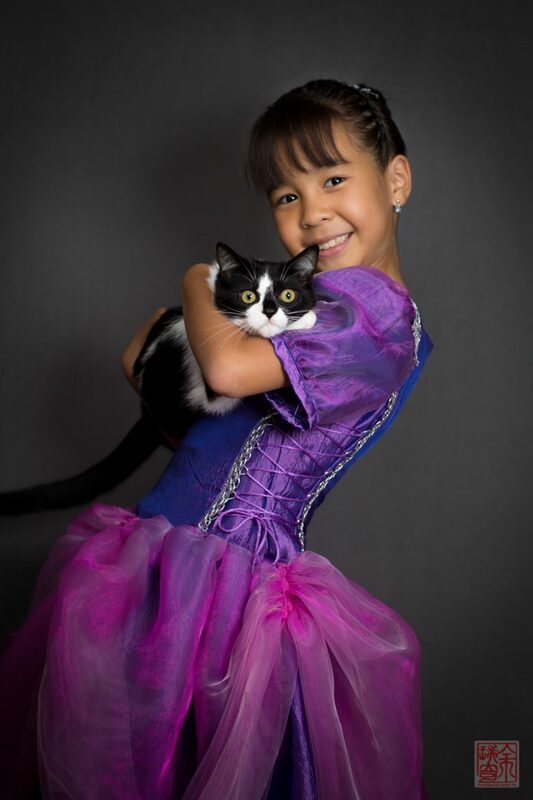 Oh my goodness….The most adorable child, lovely mother, but jiminy crickets, those DRESSES!!! I agree with all the above comments! And would like to add, does Angela have a blog? I would love to know more. Specifically regarding the stunning princess dress, were all, or some, of her modifications (“invisible zipper, full lining, puffed sleeves, sweetheart neckline and a grand gathered skirt with an organza overlay”) ones that are options in the book? Or did she make them all up and draft them all herself? I would support her writing an “addenda” pattern for you if they are not in the book. I bet that would go over extremely well! It was most lovely to meet you, Angela!